It's almost the season for "LOVE" and if you're anything like me, you're still tackling getting Christmas up and in the attic. (Yes, that what happens we've you've got three kids and a fun new business). So I figured the best way to get me motivated to get all my Christmas decorations organized and packed away is to start thinking about decorating for Valentines. 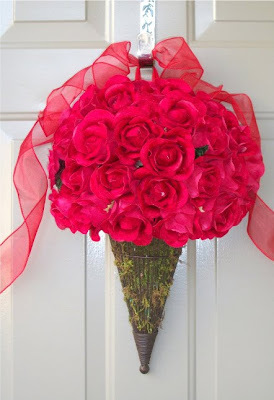 As I researched the internet for DIY Valentines ideas, I came across some really great tutorials for door decorations that I thought I'd share with you today. Door wreaths and other door hangers are fabulous holiday decorations because once made, they can last for years to come. And I have to say, most of what you find for Valentines in the stores is a little too cheesy for my taste -- thank goodness for all these amazingly talented ladies posting their ideas on the internet! 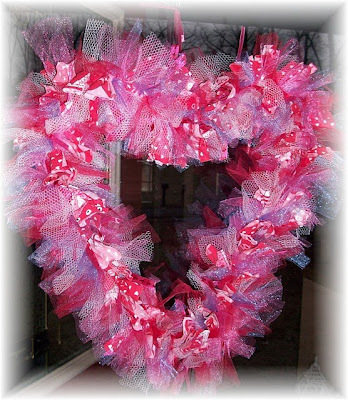 Now with a few simple supplies and a few hours time, we can all make gorgeous Valentines decor. 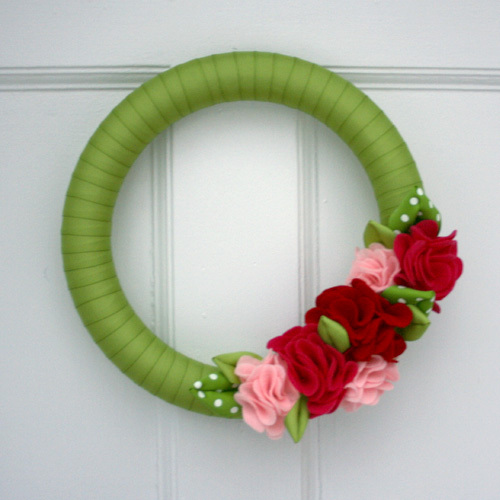 using a green styrofoam wreath and a felt flower tutorial from Keeping Life Creative. 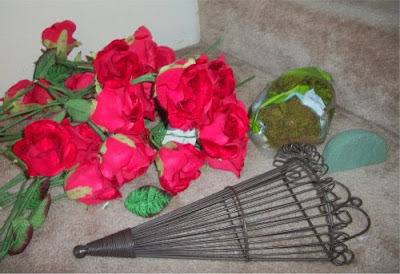 Life in the Thrifty Lane makes a gorgeous felt rose door hanger using a cardboard box cut into the shape of a heart. Adding a few rhinestones to the flowers really makes this beauty stand out. Danielle is Nesting made a beautiful rose bouquet door hanger. Just a few supplies is all you need for this sweet Valentines project..... a wire cone shaped hanger, felt roses from the dollar store, a piece of florist foam and some moss. Sweet Bee Buzzings made a fabric wreath using pieces of coordinating red and pink fabrics cut into small strips and tied onto a 10" wire circle frame from the craft store. And Wise Old Owl Designs has a cute idea, similar to the one above, using a wire hanger shaped into a heart for a frame. Most of these fabulous projects have tutorials on the ladies' blogs, so hop on over to find out the details. Have a great day today everyone! 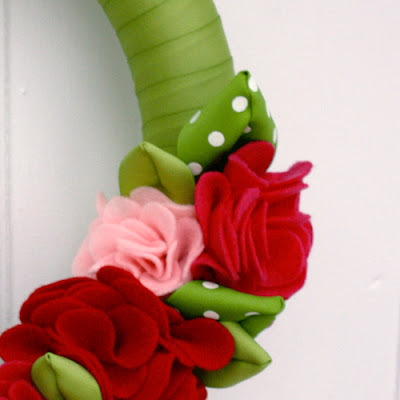 Thanks for featuring my fabric wreath! What a nice surprise to see! Thanks so much for featuring my wreath! Happy day for me :) Now I'm going to look around here for a while!